If you are looking for information on the Guier Fence franchise business opportunity, Guier Fence franchises or Guier Fence franchising, then you have come to the right place. Since 1979, Guier Fence has proudly been the leading fencing specialist, providing high quality fencing solutions and maintenance services to customers in the Kansas City area. From our humble beginnings as a home-based business, we've evolved into a company with multiple showrooms and warehouses, featuring a wide range of fencing design and installation services. 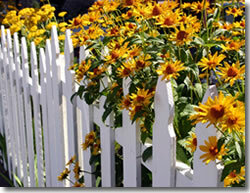 We've earned a stellar reputation due to our quality, warranty-backed work and have been recognized both by customers and by the Kansas City A-List, who voted us the Best Fencing Company in 2009. The Guier Fence Professional option provides the opportunity to start your company with a reasonable investment amount and low overhead. This may even be home-based depending on a variety of factors. This concept allows the franchise owner to market, sell, and install Guier-approved fencing solutions in a defined territory, while following our guidelines and leveraging our knowledge and experience with products, promotion, and more. Perfect for the experienced business manager, or a current "Guier Fence Professional" operator who is ready to expand, this option includes the opening and operating of a full-scale showroom and warehouse facility, and is designed so that the franchise owner hires staff to help operate the business. 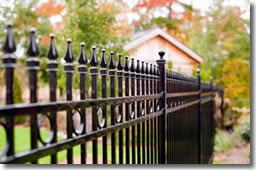 Guier Fence will of course be there to aid in the site selection, business ramp up, and ongoing operations.